The Window Pack is for all types of window, both inside and out. The large waffle style Window Cloth removes dirt and grime from windows and frames. The Glass & Polishing Cloth is great for a final smear-free finish on glass. This light green cloth, used damp, will clean the thickest grime and grease from window frames, inside and out. It is also for the first clean on large areas of glass. 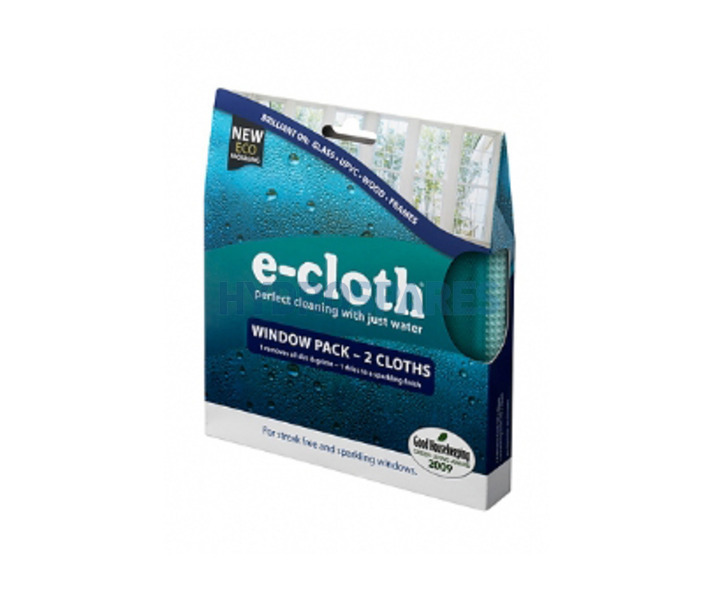 The fibres have high absorbency, making the cleaning very easy. This dark green cloth, used dry on dampened glass, removes light grease and fingermarks and absorbs small quantities of water lightening fast, which is what enables it to give a smear-free finish. It easily outperforms specialist liquid cleaners on mirrors and glass. Save Time - just add water and clean. Save Money - reduce the use of household cleaning chemicals by up to 90%. Guaranteed 300 washes. Better Results - a sparkling, smear free finish, using just water. Kind to your family and the environment.